Vegan, home grown Fanatical Animal Rights Terrorists want NO human contact/relationships with ANY animal which includes my goldfish (tropical fish)…Don’t eat them, don’t abuse them thru ownership with a fish tank in your living room and most importantly, when they die…DON”T FLUSH!!! They contend it’s cruel and want the practice of fish ownership to stop. SATIRE or REAL is a very serious act of terrorisum to claim that any animal has been abused and as a result, label it as a rescue. You loved those fish in that tank or fish bowl…Taxpayers wake-up to the SCAM and stop supporting the cruel laws putting animals above the rights of people. American Animal Culture is supported by both state and US Constitutions and the amendments that support your God-given right to animal ownership. What are you going to do when they break your door down to raid your home and take all your animals including the goldfish? They are going to claim rescue-You’re going to claim foul which won’t do a heck f a lot for you in a court room!!! Instead of supporting animal raids, go help a farmer or a little old lady to keep her ‘cat ranch’. Try to enjoy animal usage so that breeders will continue to bred their animals and you will continue to be able to own an animal and your right to choose where you will purchase that animal and/or what kind of animal you want to own. There are so many reasons to stop supporting cruel and illegal cruelty laws to STOP the Fanatical Animal Rights Terrorists from creating more laws which led to giving animals more rights than your right to live free from the over-reach of the government creating even more UN-constitutional illegal laws about animals…This goes well beyond ethics, stop the government outreach to destroy animals lives and you from enjoying your life as you wish to LIVE it!!! If you choose to make Fido equivalent to a child, that’s your choice and not up to any government agency or some armchair Fanatical Animal Rights Terrorist to tell you how he will live. I am so tired of the threat from the governments bad laws of inflicting terror and paranoia due to a simple act of ownership. Let’s go back to a time when every American would have a dog and/or a cat, maybe a goldfish…as a goal and your right to life, liberty and property (happiness)!! “Goldfish are too often treated in an inhumane fashion. People forget about them, ignore them, and allow their tank conditions to become downright unlivable. 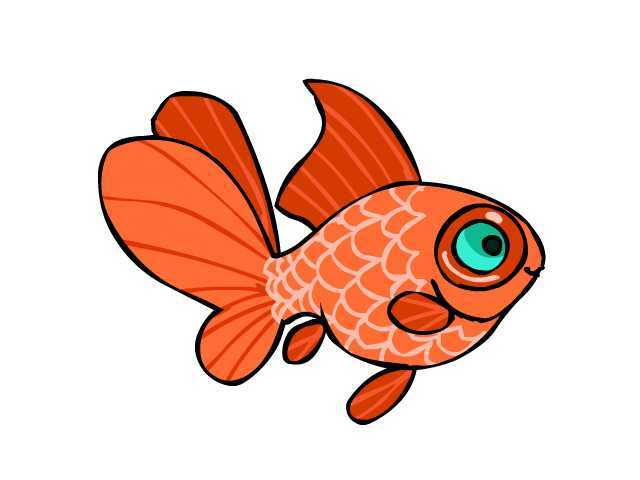 It is not uncommon to hear about fish being flushed. I heard an account of a frustrated person throwing a fish out a second-story window. This kind of total disregard for the lives of Goldfish is what caused our organization to form in the first place. Unlike dogs and cats, for which people have some conscience (and at least they will deliver these animals to a local shelter) Goldfish are more often flushed or plain ignored when the owner becomes tired of caring for them. First of all, most people are not aware that a place exists to help them place the fish they are no longer able to care for. People rarely even think about offering fish for adoption. As a result, we have many people interested in adopting, but few actually placing their fish up for adoption. Why is this? Part of it is the mindset on the part of the owner that it is not worth the effort. Part of it is the fact that people just don’t know that options are available. Options are available. It is our mission to educate people about this fact, and to recreate in the public awareness a sense of the true worth of Goldfish life. Think this absurd -Just ask the people accused of a CRIME, lost their fish and forced to plea guilty of the CRIME and then lost their Goldfish in the process…YES, it has happened and will happen again. The TX civil forfeiture law for example pertains to the process of ownership of your animals taken as evidence for the case to continue as a ‘criminal crime’ based on the evidence although no actual crime was ever committed-ALL of it done at taxpayer expense. Without charges, their determination of keeping the animals from you would be deemed an illegal action…Stolen property by virtue as a raid to be taken as evidence and YOU the taxpayer paid for the wrongful action of law enforcement and the judicial system. Bloggers Note: I don’t have a Goldfish…I never abused a goldfish by virtue of ownership and I have no intentions of owning a goldfish anytime soon…Just so you know. ~ by topcatsroar on November 18, 2016. “They” can just go away. Any animals under my care, have always been treated as “one of the family”. My one little dog, treated me with more love than my “ex-” ever did! I bet most of those “animal-rights warriors” (just like so many those “social-justice warriors(TM)”) have no idea that many of our animal-companions willingly show their appreciation for our companionship and love?!? Just another area of “politics” that shows where common-sense ends, and follower-idiocy begins. Understand that homegrown Fanatical Animal Rights Terrorist have created the ‘new laws and regulations’ with governments, no matter how small, allowing those ‘Humaniacs’ free reign over or constitutional rights and created laws that support terrorizing US citizens right to live free from such intrusion from non-government agencies. It occurs everyday somewhere in the United States to US citizens without concern for innocent until proven guilty when no crime against anyone or any law has occurred. I agree, our pet companions can demonstrate more appreciation than some humans, especially humans that prey on hurting other people, humans can be the lethal towards each other. Don’t like your neighbor, then call the authorities about his pet…government intrusion begins…laws created for public safety issues must consider what constitutional freedom it will be preventing. It is the “police” killing the “pet” or animal-companion: Then, it’s okay, but don’t look too threatening towards that police-dog! – That would be “Assault and battery upon a police officer”!